Megalania (Megalania prisca or Varanus priscus) was a very large goanna or monitor lizard, now extinct. It was part of a megafaunal assemblage that inhabited southern Australia during the Pleistocene. Megalania is believed to have disappeared around 40,000 years ago, but not before the first Aboriginal settlers of Australia may have encountered them. 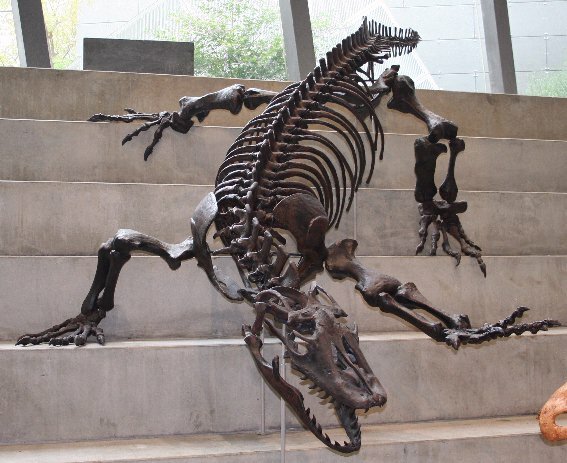 Wikipedia recently uploaded some interesting images of Megalania, which we're sharing with you this week.